Since its inception, Camp Sunshine has served more than 50,000 campers and family members from all 50 states and 27 different countries. After two harrowing years of treatment for acute lymphoblastic leukemia, any vestiges of normalcy had vanished from the everyday life of 7-year-old Brayden Norton-Henry and his mom, Brittney Hedetniemi. Chemotherapy had triggered a cascade of complications that included seizures, peripheral neuropathy, and systemic fungal infection and required months-long stays in the oncology unit, followed by marathon therapy sessions at outpatient clinics near their home in Florida. So to be paddleboarding alongside Brayden on glistening Sebago Lake last summer — and to see Brayden swim, play Newcomb, and laugh with other kids his age — felt nothing short of miraculous to Brittney. Brittney and Brayden are among the 750 families contending with life-threatening illnesses who found respite last year at Camp Sunshine, in Casco. The lakeside camp is one of the only year-round retreats serving children with life-threatening illnesses that hosts parents and siblings along with campers — and that offers the experience at no charge. Families contending with conditions like cancer, brain tumors, sickle-cell disease, and lupus, and whose lives have been swallowed by appointments, surgeries, and clinical trials get to relax on the camp’s 24-acre campus. In the summer, they’ll swim, hike, paddle, play sports, and make crafts; in the winter, they can sled, skate, snowshoe, and ski. Physicians, social workers, and medical professionals are on site for support. Philanthropists Anna Gould and Dr. Larry Gould founded the camp in 1984. 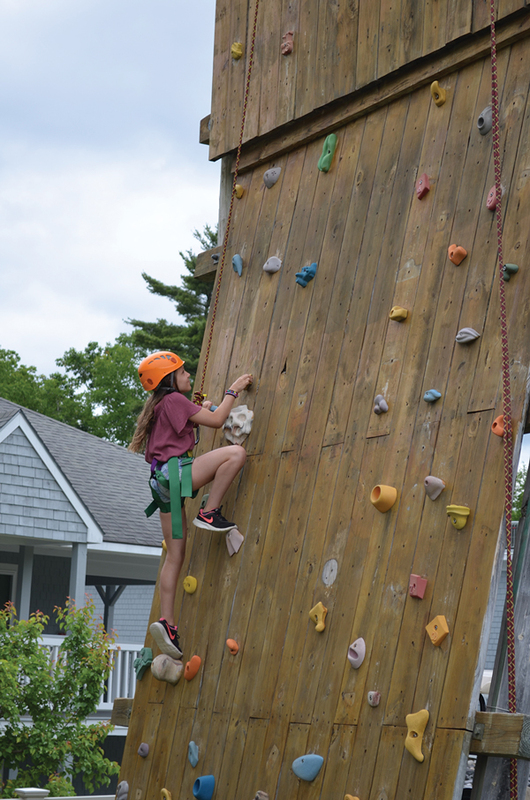 Moved by a TV program they’d seen about a summer camp for kids with cancer, they decided to offer a similar program at Point Sebago Resort, the golf resort they owned on Sebago Lake. They hosted 43 children and their families the first year and expanded the program each year after, as referrals poured in from medical centers around the country. In 2001, the Goulds donated 24 acres on Sebago Lake to create a permanent facility for the camp, and they opened it up to those affected by a variety of life-threatening illnesses. Families can apply to attend Camp Sunshine once a year and may return multiple years. The non-profit is funded by donations from foundations and corporate sponsors and private gifts from individuals. For the Walton family, of Gorham, one of the biggest benefits was a chance to connect with other families facing the same gruelling treatment regimens. They attended Camp Sunshine just months after their 9-year-old daughter, Morgan, was diagnosed with a brain tumor. They’ve since returned several times over the course of her treatment, which has included three brain surgeries, two rounds of chemo, and a two-month stay in Boston for radiation. He was especially grateful for the opportunity that Camp Sunshine gave Morgan’s two teenage sisters to connect with other kids whose siblings were seriously ill. He and his wife had worried about how they were processing their little sister’s illness, about whether their kids were feeling left out during the already trying years of adolescence. “They could get the balance of distraction and connection they needed,” Walton says. “Even if they weren’t having some heavy conversation about their feelings, they got to hang out with kids their age without having their guard up. And when they wanted to, they could talk about what they were going through.” They enjoyed the experience so much, they started helping out at the camp, joining the core of some 2,000 volunteers who help out at Camp Sunshine each year. Katz understands the draw. Seeing the smiles of kids and families who have been through so much is what buoys him on the job, and he admires the campers’ courage and strength. He recalls a talent show in which a 9-year-old camper named Jaxson, who was contending with a brain tumor, set his walker aside and strode across the stage unassisted, smiling ear-to-ear as the Top 40 hit “Fight Song” played on the PA. When Jaxson reached center stage, he gave a fist pump and yelled, “This is MY fight song!” The audience erupted into a standing ovation. Maine is brimming with camps offering kids a summer of woodsy fun — plus a host of emotional, physical, and developmental benefits that research shows close encounters with nature can bestow. A survey by the American Camp Association suggests that camp attendance helps boost kids’ self-esteem and independence. And an increasing number of Maine camps are working to reach kids who are traditionally underserved, from Unity’s Camp Alsing, geared to kids who have high-functioning autism and other social communication challenges, to Stoneham’s Camp Susan Curtis, which serves kids from economically disadvantaged families. 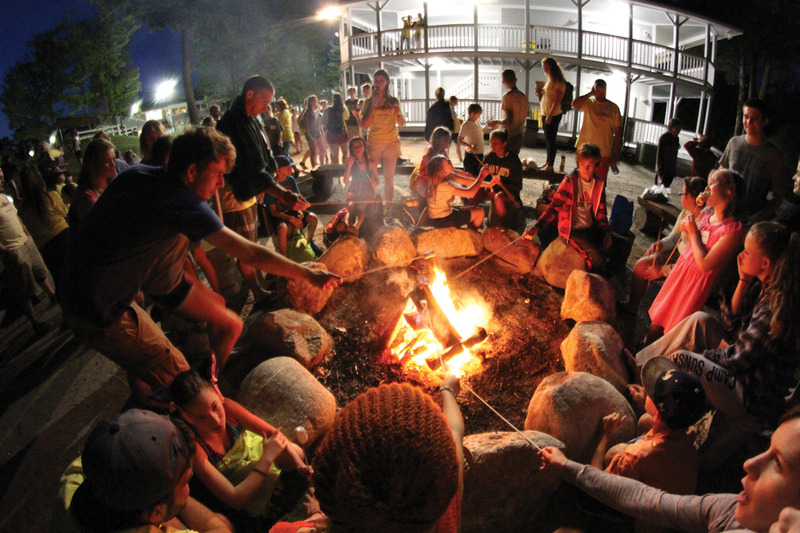 “Organizations are adapting a traditional camp setting to deal with various needs and to provide a really unique experience for those kids,” says Ron Hall, executive director of Maine Summer Camps, a group of 120 member camps and adventure programs. ► To learn more, go to mainecamps.org. Hands-on ocean science curriculum on the coast of Downeast Maine. Explore the place that gives girls both roots & wings. The oldest continuously-run camp for girls in America. Since 1948, Hidden Valley Camp has been central to families' lives. 28 acres on the shores of Sebago Lake. Expeditions. Building character on land and sea. Free to be. Free to become.